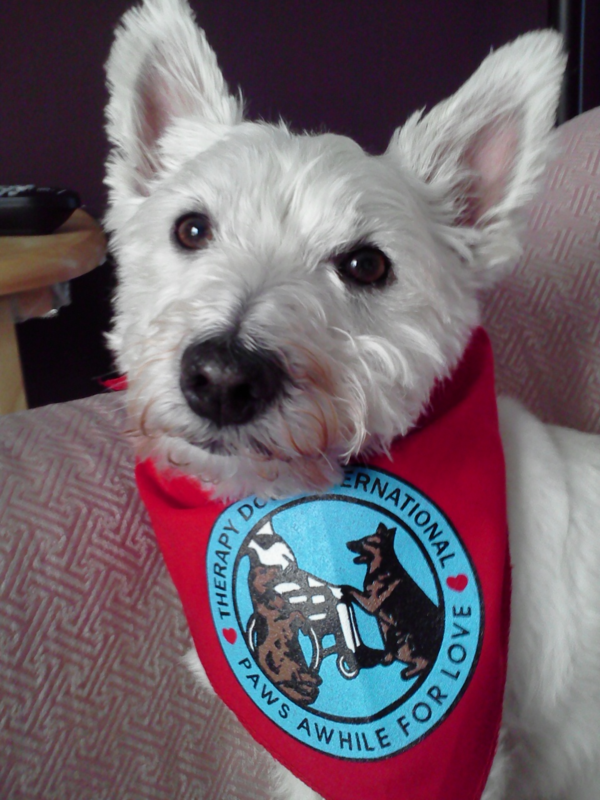 Mr Willet became a Certified Therapy dog on April 11, 2012 with Therapy Dog International. 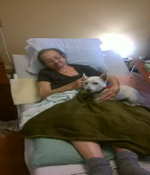 Click here for more information about Therapy Dog International. If you know of a facility that may benefit from a visit from Willet please email Belinda at belinda@brecksvilledentalcare.com. 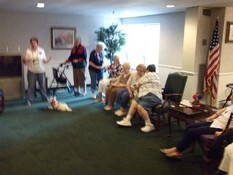 Willet's first Assisted Living Facility visit was May 23, 2012 at Chippewa Place. 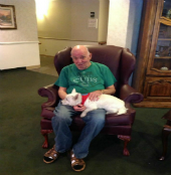 Willet was able to visit 20 residents at Chippewa place in Brecksville, Ohio, where residents learned of Willet's beginnings in a puppy mill. Everyone enjoyed Willet sitting on their laps. Willet also had a photo shoot with each individual resident. Willet has continue his visit to Chippewa on a monthly basis since 2012. He has also visited The Oaks in Brecksville. If you are interested in having Willet come visit a family member or friend please give the office a call and Belinda will get in touch with you for the details.